Registrations are rolling in ! Bucket List ... tick ! Imagine riding your bike through the magnificent landscapes of Far North Queensland! It doesn't get any better. Registrations are rolling in so don't wait, sign up today as we are capped at 50 riders and filling fast! 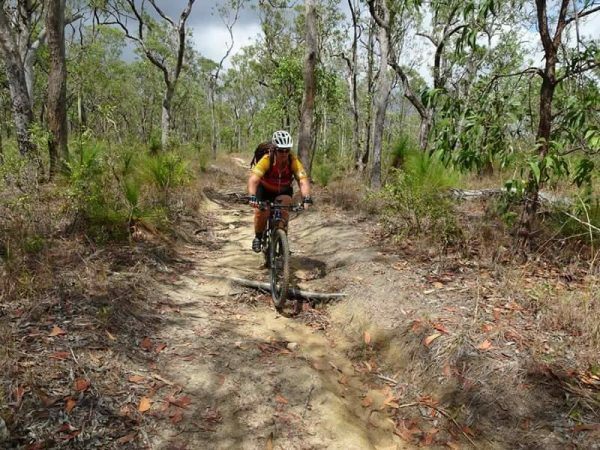 This is an unforgettable mountain bike adventure through the spectacular landscapes of tropical North Queensland! The Tour is an eight day, self-paced, fully catered, bike tour which is the ultimate way to explore the beautiful World Heritage listed rainforests, woodlands, waterfalls, and mountains the region has to offer. Besides excellent riding, the tour is a great chance to socialize and forge new friendships as riders cruise the coast, climb ranges, peruse the countryside and at the end of the day, enjoy a hard earned cold refreshment from our own camp bar! Wouldn't be dead for quids! Away from the hustle and bustle of busy roads and into the back country. Ride the way you want to, shower in waterfalls and feast on home cooked meals. Jump on board for an epic experience in iconic landscapes. REGISTER NOW to start the adventure of a lifetime. To get the latest updates on the Bike Tour, connect with other riders, and more!!! !